I took a great deal of time and went through many of the quatrains of Nostradamus and found that there were far too confusing for me to make any sense of them or offer any intelligent response to what they mean. I have read through his prophecies before and always found it very difficult and admirer those who can break it down into terms that we can understand. The following is the only one that made any sense to me. The evil deed predicted by the bearer of a petition. Conflict in Reims, London, and pestilence in Tuscany. President John Kennedy was shot shortly after twelve noon 53 years ago in Dallas Texas, on 22 November 1963. In Nostradamus day guns had not been invented so it makes sense that he would see it as a thunderbolt. Senator Robert Kennedy was assassinated a few minutes after 1 A.M., moments after his victory speech in the 1968 presidential primary. Jeane Dixon, one of the foremost prophets of modern times, earned international notoriety for predicting JFK’s assassination as early as 1956. The last month before he was killed she repeatedly tried to get the message to him to be careful that he was about to be assassinated. I believe the bearer of the petition was Ms. Dixon. Nostradamus may have chronicled her unsuccessful attempt to forewarn the president, and later, Senator Kennedy, who was her friend. The last line dates RFK’s murder through events occurring around that time: student riots in France and London during 1968-9, (Reims is a another term used for France) and the 1966 Florence flood, when authorities feared that pestilence in Tuscany would follow the disaster. Nostradamus was an incredible prophet and it is amazing to see how he visualized something centuries ahead. 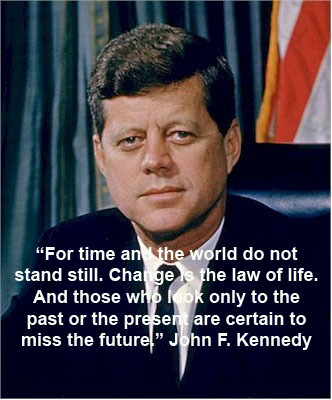 I post this in memory of President Kennedy who was a great inspiration to me. The Mystery of a Psychic from the Past! It is hard to pinpoint the exact time and documented experiences of the first known psychic or psychics. In Greek mythology, there are stories of Pythia, who was a priestess that served Apollo. She was a powerful woman in a male dominated world who had the power of prophecy. This would lead us to believe that psychic ability goes back to ancient times. Historically, Nostradamus comes up frequently when researching psychics from the past. Many people equate psychic with witchcraft and it is far from the case. Psychics come from all walks of life and some do not even realize they have psychic ability. Everyone has intuition and it is up to you how much you use it and learn from it. Nostradamus is still quite a controversial figure. In light of this and the complexity of his predictions, we will only touch lightly on some facts and events of his life. Critics believe that his infamous quatrains have been grossly misinterpreted, while others believe he is the greatest prophet/psychic of all time. After the attacks of September 11, 2001, Nostradamus was the most highly searched term on Google’s website. This is evidence of the effect his prophecies still hold today. 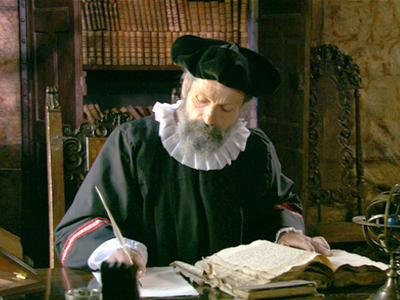 In 1550, Nostradamus wrote his first almanac, and it was considered highly successful. He continued to write almanacs until the time of his passing in 1566 at the age of sixty-two. Even today, Nostradamus is the subject of websites, popular cultures, and blogs on the subject. His quatrains and bold predictions of what was to come in the centuries beyond his passing have always amazed and intrigued believers and critics alike. As research and scientific studies continue on these prophecies, he will continue to live on. I have gone through many of the quatrains of Nostradamus over the last few years and found that they are not easy to understand. The following is one that I could make sense of. President John Kennedy was shot shortly after twelve noon 49 years ago in Dallas Texas, on 22 November 1963. 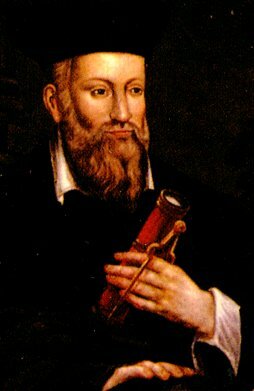 In Nostradamus day guns had not been invented so it makes sense that he would see it as a thunderbolt. Senator Robert Kennedy was assassinated a few minutes after 1 A.M., moments after his victory speech in the 1968 presidential primary. Jeane Dixon, one of the foremost prophets of modern times, earned international notoriety for predicting JFK’s assassination as early as 1956. The last month before he was killed she repeatedly tried to get the message to him to be careful that he was about to be assassinated. I believe the bearer of the petition was Ms. Dixon. Nostradamus may have chronicled her unsuccessful attempt to forewarn the president, and later, Senator Robert Kennedy, who was her friend. The last line dates RFK’s murder through events occurring around that time: student riots in France and London during 1968-9, (Reims is another term used for France) and the 1966 Florence flood, when authorities feared that pestilence in Tuscany would follow the disaster. I would like to hear your thoughts and opinions on this great psychic. This also gives you a chance to study and learn more about famous prophecies. Nostradamus has been credited with predicting these historic events. President John Kennedy was shot shortly after twelve noon 47 years ago in Dallas Texas, on 22 November 1963. In Nostradamus day guns had not been invented so it makes sense that he would see it as a thunderbolt. Senator Robert Kennedy was assassinated a few minutes after 1 A.M., moments after his victory speech in the 1968 presidential primary. Jeane Dixon, one of the foremost prophets of modern times, earned international notoriety for predicting JFK’s assassination as early as 1956. The last month before he was killed she repeatedly tried to get the message to him to be careful that he was about to be assassinated. I believe the bearer of the petition was Ms. Dixon. Nostradamus may have chronicled her unsuccessful attempt to forewarn the president, and later, Senator Kennedy, who was her friend. The last line dates RFK’s murder through events occurring around that time: student riots in France and London during 1968-9, (Reims is a another term used for France) and the 1966 Florence flood, when authorities feared that pestilence in Tuscany would follow the disaster. Nostradamus was an incredible prophet it is amazing to see how he visualized something centuries ahead. It is hard to pinpoint the exact time and documented experiences of the first known psychic or psychics. In Greek mythology, there are stories of Pythia, who was a priestess that served Apollo. She was a powerful woman in a male dominated world who had the power of prophecy. This would lead us to believe that psychic ability goes back to ancient times. 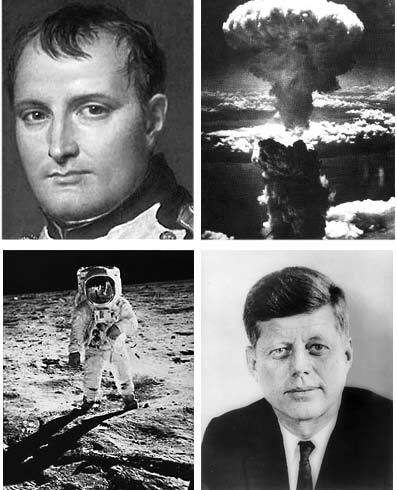 Historically, Nostradamus and Edgar Cayce come up frequentl when researching psychics from the past. Edgar Cayce was known as the “sleeping prophet” for his ability to put himself in a sleep like state and foretell future events. In 1931, he founded The Association for Research and Enlightenment. The purpose of this not-for-profit organization was to study the areas of transpersonal subjects. Edgar Cayce is credited with predicting the stock market crash of 1929 as well as the six other major events listed below. For more detailed information on each of these prophecies and historical information on Edgar Cayce, you can visit The Association for Research and Enlightenment website at http://www.edgarcayce.org. I took a great deal of time and went through many of the quatrains of Nostradamus over the last few days and found that there were far too confusing for me to make any sense of them or offer any intelligent response to what they mean. I have read through his prophecies before and always found it very difficult and admire those who can break it down into terms that we can understand. The following is the only one that made any sense to me. President John Kennedy was shot shortly after twelve noon 45 years ago in Dallas Texas, on 22 November 1963. In Nostradamus day guns had not been invented so it makes sense that he would see it as a thunderbolt. Senator Robert Kennedy was assassinated a few minutes after 1 A.M., moments after his victory speech in the 1968 presidential primary. Jeane Dixon, one of the foremost prophets of modern times, earned international notoriety for predicting JFK’s assassination as early as 1956. The last month before he was killed she repeatedly tried to get the message to him to be careful that he was about to be assassinated. I believe the bearer of the petition was Ms. Dixon. Nostradamus may have chronicled her unsuccessful attempt to forewarn the president, and later, Senator Kennedy, who was her friend. The last line dates RFK’s murder through events occurring around that time: student riots in France and London during 1968-9, (Reims is a another term used for France) and the 1966 Florence flood, when authorities feared that pestilence in Tuscany would follow the disaster. Edgar Cayce on Blood as a Diagnostic Tool. During the course of a physical reading given for one individual, the reading foresaw future medical advancements that might make diagnosis from a drop of blood a possibility. The reading was given in 1927, at the time when the prediction would have been considered the makings of science fiction. I have my doctorate in Naturopathic medicine and studied the work of Edgar Cayce extensively because he had so much medical advice, which is still used today by natural practitioners. I know that he saw the future of medicine based on what I have studied from his natural medicine teachings. I advise my clients to eat seven raw almonds every day based on this man’s work. It’s been proven that they have more essential oils then make any other nut and that they increase overall circulation, they contain the essence of life. Because of his advanced healing methods it’s not surprising that he would see that blood contains the life essence therefore it would be the best diagnostic tool. His visions were always extraordinary and he saved so many people’s lives with his psychic diagnosis of a person’s condition. This is the man that I truly admire because he contained all the gifts that I myself use and study. I would like to hear your thoughts and opinions on these great psychics. This also gives you a chance to study and learn more about famous prophecies.